Sick little girl in bed. Mother with thermometer is sitting near the bed. Focus on thermometer. Are you suffering from a fever very often? Are you looking for a quick home remedy for the same? If yes, then this article is just for you. I have done a lot of research and found many magical home remedies to control a fever without any side-effects. You should try these home remedies. So let’s just quickly check the home remedies for a fever in detail. A fever is a higher-than-normal body temperature and is a part of our body’s natural response to infection. The average normal body temperature is 98.6 degrees Fahrenheit. When your body’s temperature rises a few degrees above normal, it is a sign that your body is fighting infection and is generally not cause for concern. In these cases, a fever is a response you want your body to have since it means that it is healthy enough to fight infection. For this reason, it is not always a good idea to try and bring a fever down too quickly. However, a fever that goes above 102 degrees Fahrenheit is a cause for concern, and treatment should be initiated.Aside from an elevated temperature, chills, and aches, a lack of energy and a flush complexion are common symptoms experienced by people with a fever. What are the common causes of fever? Sometimes the cause of a fever can’t be identified. 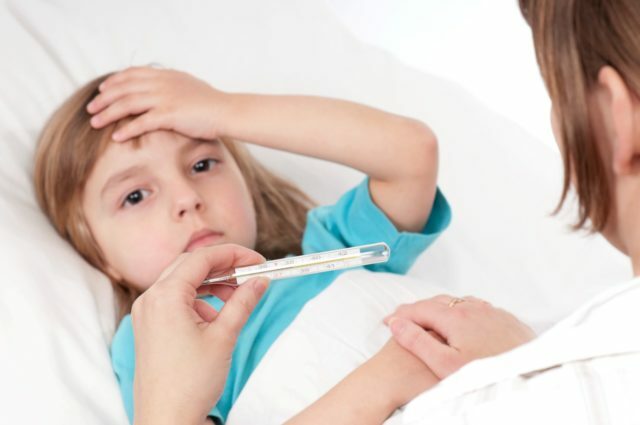 If you have a fever for more than three weeks and your doctor isn’t able to find the cause after extensive evaluation, the diagnosis may be the fever of unknown origin. Ginger is another quintessential kitchen herb that has been used to treat various ailments for centuries. It is a magic bullet that zaps away respiratory tract infections, persistent coughs, and bronchial problems. Loaded with the germ-fighting phytochemical ajoene, ginger is Mother Nature’s remedy for bacterial and viral infections. Taking a bath in lukewarm water helps reduce fever gradually and safely. At the height of the fever, immerse your body in a tub filled with water about 2 degrees cooler than your body temperature. Slowly add cooler water to the bath, which lowers the body temperature. Conclude the bath after about 20 minutes, or whenever you begin to feel cold. Dry off with a towel, quickly return to bed and cover yourself with blankets. Sweating should begin, which is the desired effect after a fever bath. The body temperature will lower by about 2 degrees. Repeat no more than once a day, preferably in the afternoon, until the fever subsides. Don’t use this treatment if you have a fever that’s still rising. Corianders are packed with vitamins and nutrients which help to boost the immunity. Coriander seeds have endless powerful volatile oils and antibiotic compounds which helps to reduce fever in a natural way. Herbal tea has the ability to reduce fevers. 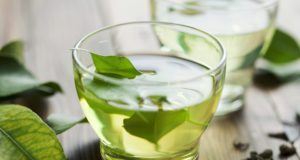 These contents of tea may help bring down body temperature. Honey is a golden gift when it comes to anti-bacterial, anti-microbial and antioxidant properties. It is also one of the most nourishing foods to have a fever as it is loaded with calcium, copper, iron, magnesium, manganese, phosphorus, potassium, sodium and zinc. Many Indians are familiar with kanji as rice starch is called in Hindi. It is a time-tested remedy for fever which acts as a natural diuretic that increases urination and flushes out the toxins. Rice starch is a nourishing drink, especially for kids and aged people with fever. Cinnamon is an aromatic spice that is a natural antibiotic. This deeply warming spice can soothe sore throats, and treat a cough and cold. Raisins help the body fight infections and reduce fevers. They are loaded with phenolic phytonutrients, which are known to have antibacterial and antioxidant properties. Also, raisins act as a tonic for your body when you have a fever. Place a cool, damp washcloth on the person’s forehead having fever. Continue repeating this several times for effective results. Fenugreek which is commonly known as methi is a fount of healing compounds like diosgenin, saponins, and alkaloids. This herb also has many other fever-fighting compounds to bring down fever and alleviate symptoms of viral infections. Apple cider vinegar is another very inexpensive and highly effective remedy for a fever. It helps reduce a fever quickly because the acid present in it helps draw heat out of the skin. Plus, it is rich in minerals and helps replenish minerals that get eliminated from the body due to fever.